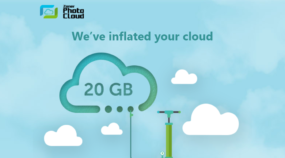 In Zoner Photo Studio it’s easy to create a video with your high-resolution photos and your choice of music or spoken commentary. This is a stunning way to show off your photos. Find the folder where you’ve readied photos for the video. 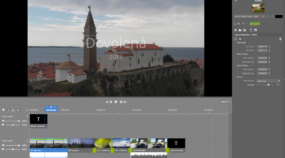 Then switch to the Create module and click the Video option. The Video function shows a filmstrip with your selected photos at the bottom and the timeline for your video above them. It’s empty for now. But you can quickly change that by dragging selected photos onto the timeline. 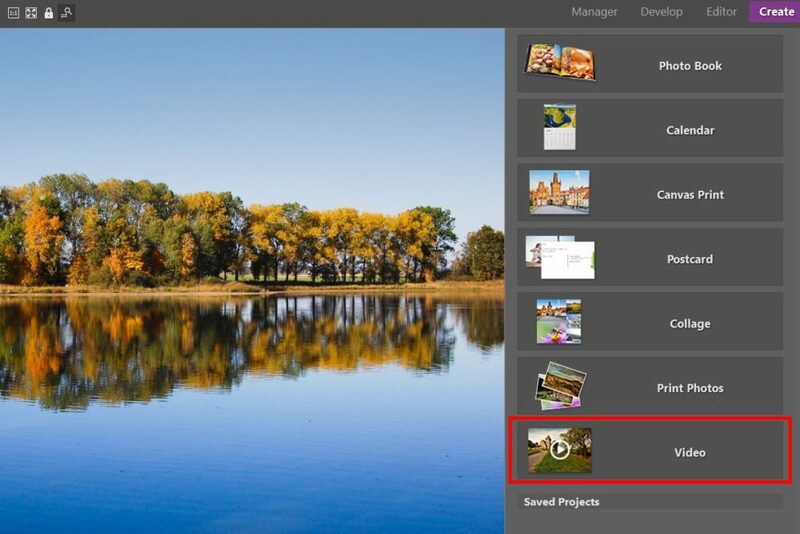 To select multiple photos at once, hold down Ctrl while selecting them. To remove some photos from the video, select them and press Delete. 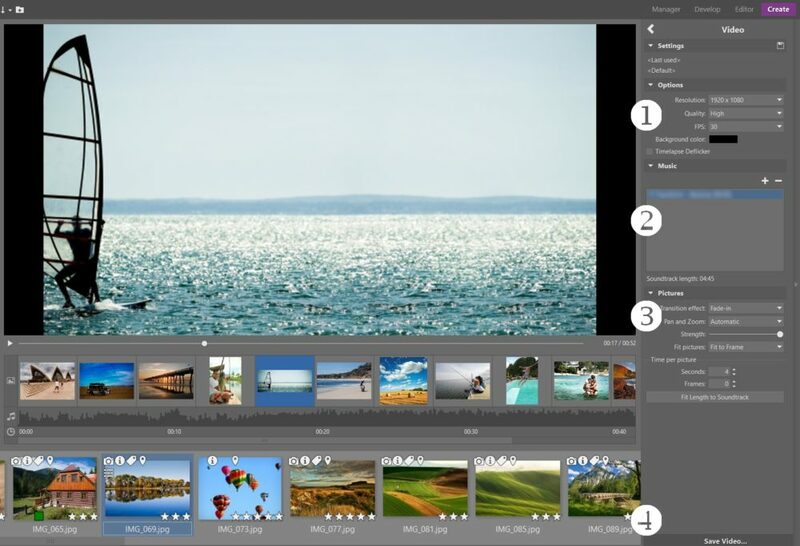 You can then adjust the video’s resolution (1), add a soundtrack (2), or adjust the effects for transitions among pictures and how photos move during the presentation (3). Click the button below the video preview to play back the results. Once you’re satisfied, save your video (4). Turning photos into a video in Zoner Photo Studio is a very simple and practical way to create photo presentations with pizazz. 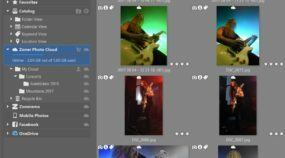 It’s a great and fast way to produce a video with music or spoken commentary, for presenting live or publishing on the internet. 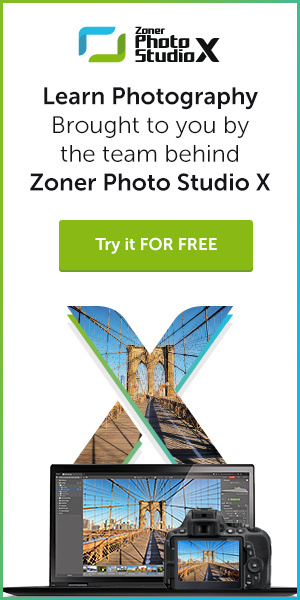 Get the maximum from your photos—download Zoner Photo Studio X right away and try it for free!